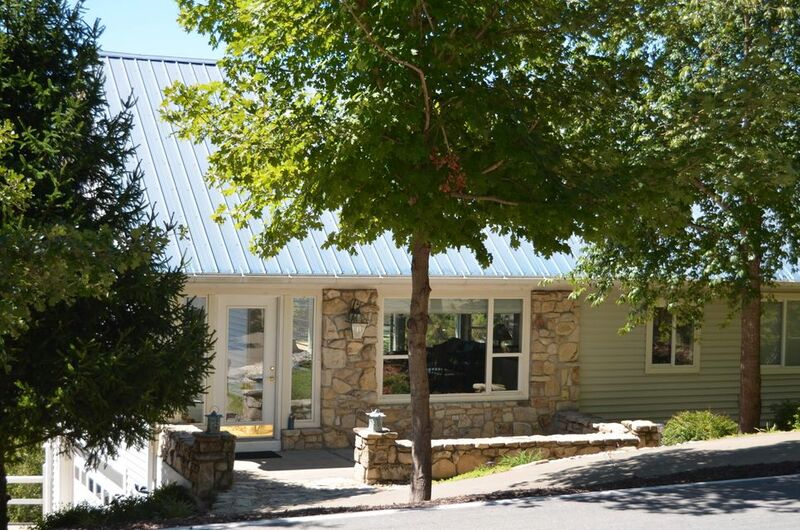 Check out this light and bright Table Rock Lake view home at 85 White Rock Bluff in Reeds Spring. Built by local area builder, Marlin Constance, this home with walkout basement features a great open floor plan with lots of outdoor living space. Got a boat? You're in luck! There are several private boat slips for sale nearby. Please call 417.527.8435 for Table Rock Lake view homes for sale. We'll help get you here! View Full Details of this Property for Sale in Reeds Spring.